I have been dying to go to this restaurant/cafe for ages, but it’s always been too busy, or closed whenever I’ve come past. So taking advantage of my day off work, and checking the website to make sure they’re open, I head off. 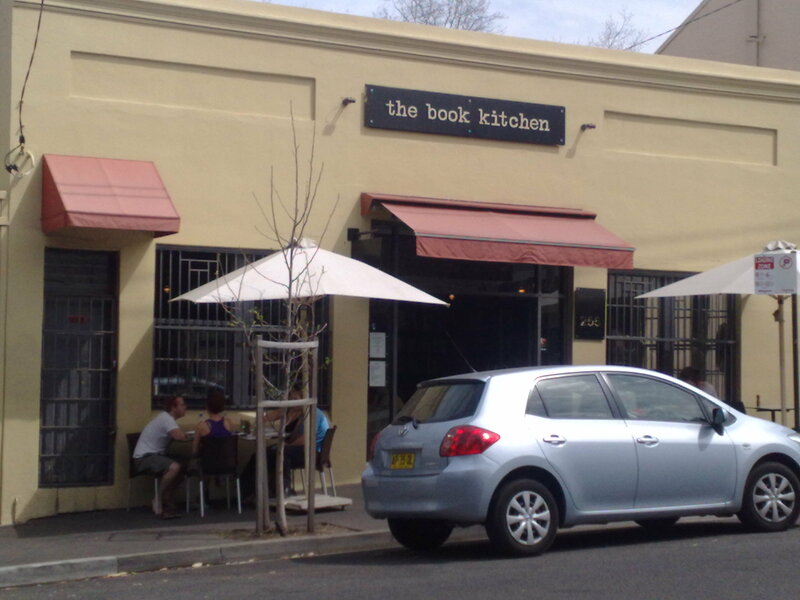 Lucky for me The Book Kitchen is Just up the road! The first thing that surprises me when I walk in, is how big it is! I always got the impression that it was quite small, but that’s because I only ever saw a small corner. It’s actually quite a large warehouse style space, and in the warm weather, dark and cool. I grab a spot at the communal table in the corner right next to all the books and start browsing. It’s pretty early, bang on midday, so fairly quiet with people either finishing up breakfast/coffee/brunch or just starting. A waitress comes over and asks if I’m after breaky or lunch and proffers the day menu. I can’t decide. There are too many options! 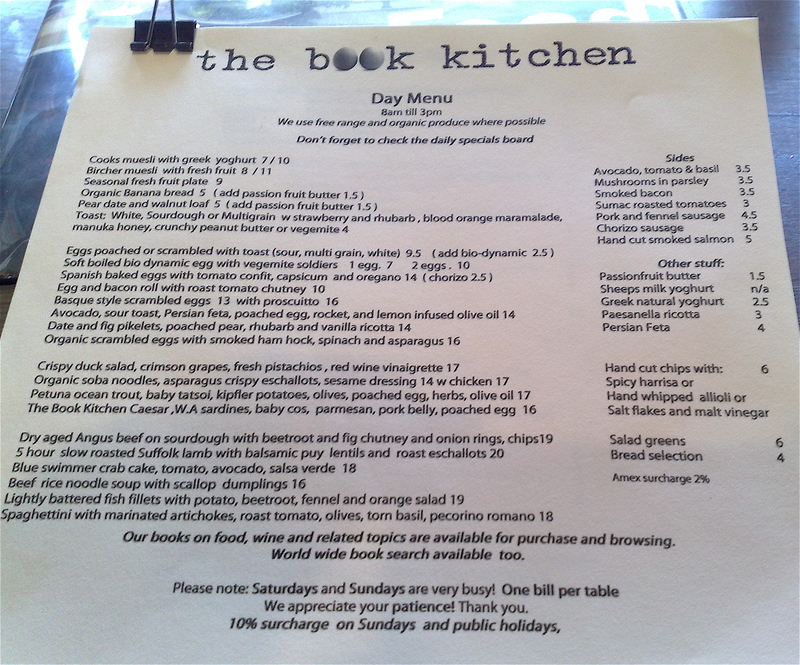 I’ve been told any of the egg dishes at The Book Kitchen are superb, better than Bills. 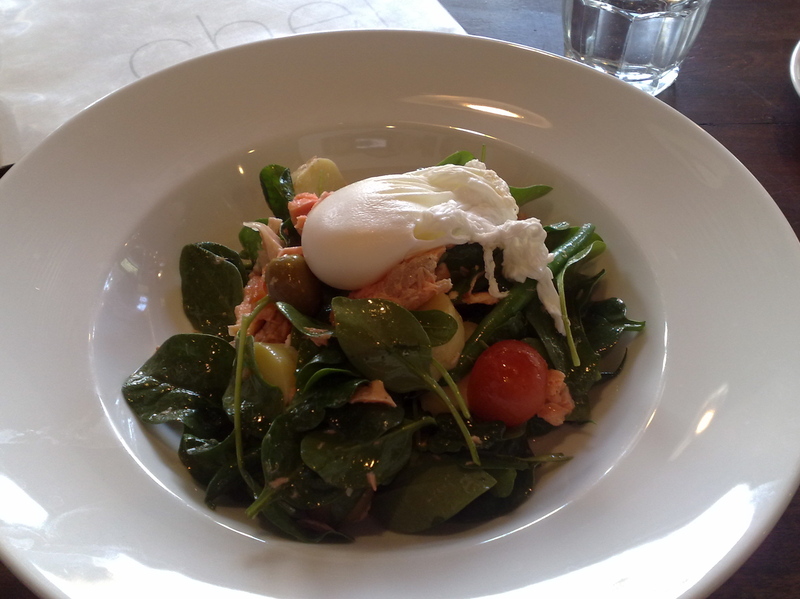 I’m torn between the Petuna Trout Nicoise salad, or the Angus beef on sourdough. I ask the waitress who immediately asks “how hungry are you” “hmmm, medium hungry?” She explains that the Angus beef is large, with chips and salad, while the trout is a salad…I go for the salad and save the beef for a truly hungry day. In the meantime I receive my coffee. 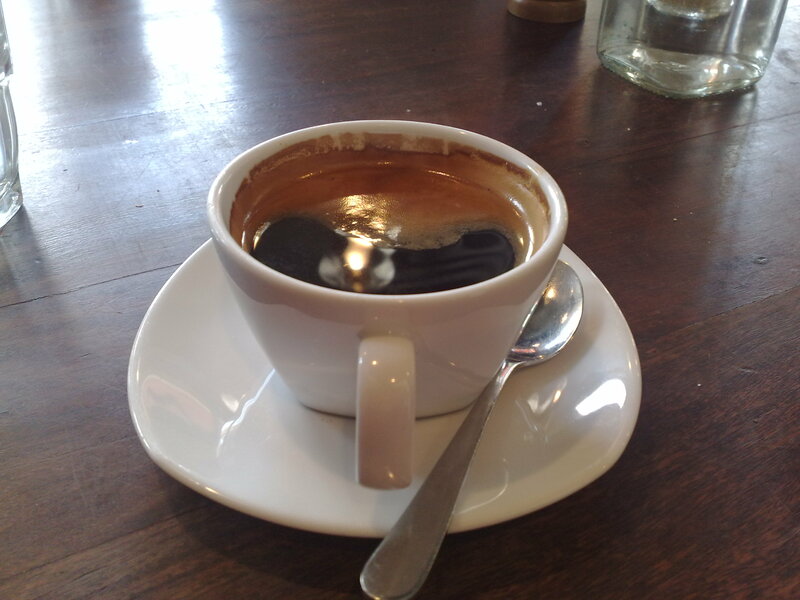 I drink black coffee due to my lactose intolerance, so can taste bad coffee very quickly. This coffee is fan-bloody-tastic, and not tiny! I’m also particularly taken by the cups and saucers used, a beautifully rounded square-ish shape…I wonder where they get them? As it’s a little quiet, my salad arrives pronto! I really enjoyed the space, and can see why it’s so jam packed on the weeekends. I also loved browsing the books, though got a little concerned when someone wanted to buy one and it had fingerprints on it. I guess that’s the risk you run allowing customers to browse books while they eat. Will definitely be back to work through that breaky menu!